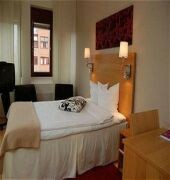 This Haninge hotel is 220 yards from Handen Train Station and 12 miles from Stockholm International Fairs. Wi-Fi and private parking are free. All rooms have fridges and satellite TV. Hotel Winn Haninge%u2019s facilities include a children%u2019s playground, a sauna and a sun deck. 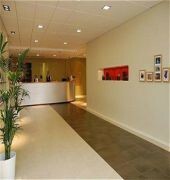 The Skeppet Restaurant and Lobby Bar offer a wide choice of food and drink. Wine, cheese or whiskey tastings can also be arranged. 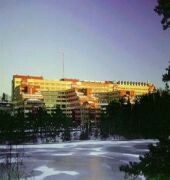 Quality Hotel Winn Haninge is a 5 minute walk from Lake Rudan and a 20 minute drive from central Stockholm.